Paris features the largest collection of Picassos in the world. 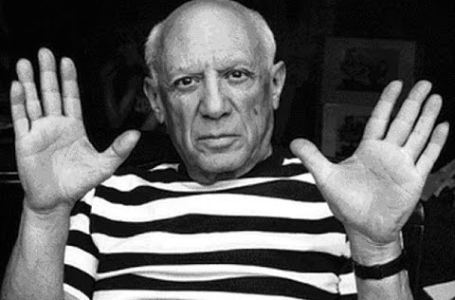 And Paris is where Picasso lived and became the greatest artist of the 20th Century. Do you want to access all the Picassos that the artist kept at home for himself for his entire life? Do you want to see for yourself what Picasso found so inspiring about Paris? b) a skip-the-line ticket to the Picasso Museum. First, walk the Marais from the Pompidou Center to the Picasso Museum. See for yourself what’s so inspiring about Paris for the greatest artists. Then, visit Picasso’s collection, all in style. Skip all lines, and walk straight up to the Picasso Museum’s rich collections. 1) skip-the-line entrance to the Picasso Museum. The museum features the largest collection of Picasso’s in the world. It also features the master’s favorites by other artists: Cézanne, Degas, Matisse etc. Your ticket is valid at the time of your choosing, for a self-guided visit, every day except Mondays. 2) art walking tour of the Marais. 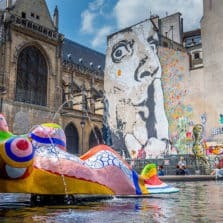 The Marais is Paris’ art district. We walk from the Pompidou Center to the Picasso Museum, and we discover some of the leading art galleries. Marais is also the most elegant, sophisticated district of Paris. With our local guide, you’ll discover many hidden gems. Our Picasso Art Tour Marais runs rain or shine, at at 10.30am, and lasts a relaxed 90 minutes. In English. Closed on Dec. 24 & 25 only. We meet near the Pompidou center on place Stravinsky plaza (church side of the plaza). Our tour ends at the Picasso Museum. To see more on this tour, we do not spend time going inside each building. To spend time inside the Picasso museum, instead of outside, where the queues are big. To explore the favorite district of the Parisians, in the company of a friendly, born-and-raised, Parisian as your guide. Picasso skip-the-line ticket + Marais Art Tour combo is €45/adult (or US$48). Discounts for kids 18 and under: €28. Groups of friends, families, and school groups often book a private guide. The Picasso museum is open every day except Monday, 11.30am to 6pm. The museum closes Dec. 24 & 25, January 1 and May 1. We meet on place Stravinsky, on the church end of the plaza (this is near the Pompidou center). Your guide is in a pink vest. At 10.30am every Tues. Thur. & Sat. This Art walking tour in le Marais ends at the doors of Picasso Museum.